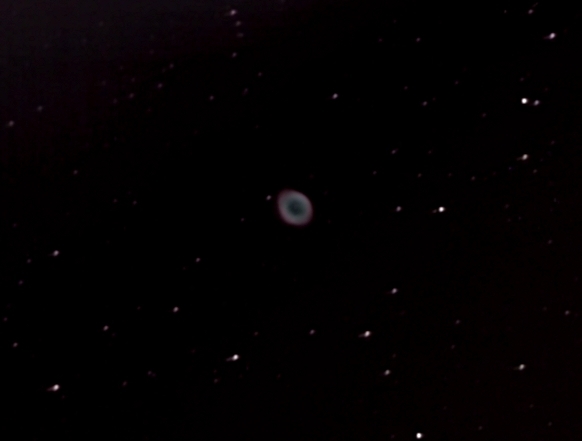 The sky was quite blue but the ring nebula still made a nice real-time observational object and a reasonable image. Exploring Sagittarius with the modified Samsung SDC-435 and a 130mm AZ GOTO f/5 Newtonian. The camera was fitted with a light=pollution filter and 15 minutes of DVD were recorded at high quality for the images and dark-frames. 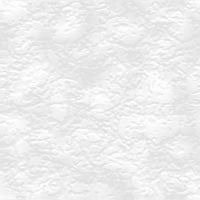 The BMPs were extracted from the DVD VOB files using VOB Extractor. 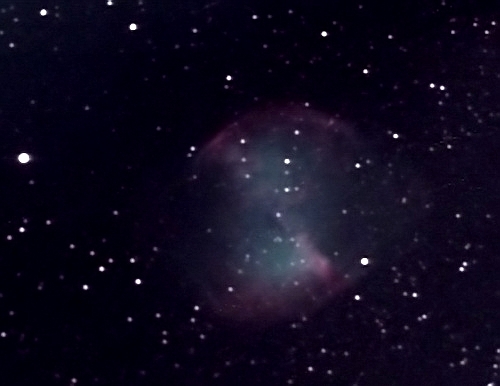 The dark frame was scaled with Dark-frame scaler and the BMPs were dark-frame corrected, de-rotated and stacked in Deep Sky Stacker.